The EU debt problem will not go away because we still have not solved the current account deficit problem. The fiscal deficit was not a problem for many countries before the crisis. The public debt also was not a problem for many countries. Again, the fiscal balances and net public debt would not be good predictors of the crisis, but the current account deficits tell most of the story. Here is where the problem exists and this means that countries are dealing with a competition problem. What is missing in any discussion is what will be done to make Greece more competitive in the EU marketplace. This is not happening because real wages will have to decline and many services will have to be privatized. This is not as acceptable as the pain of dealing with budget deficits. "They don't know how to suffer" Ernesto Zedillo, former president of Mexico. Latin America has gone through debt crises and hyperinflation. It has seen "lost decades". The process that surrounded these debt crises seem to be playing out in Europe. There is the period of "extend and pretend" but ultimately we get to the point that there is no success without pain. Europe may not be able to take the pain so the final solution may be much worse. When you strip away all of the other issues, the financial imbalances is still the problem in the EU and this is a problem of national interest. Germany has to be willing to provide funds and/or take the financial hit for the impact of past lending. Let's start with the simple fact that foreign, private and government imbalances all have to sum to zero. Before the crisis, fiscal imbalances were normal, no large differences, but current account imbalances were very significant. The private surpluses of some countries were used to finance the deficits of others. When the surplus countries stopped providing funds, the capital importing countries were left with the problem. They have one of two choices, get competitive and grow, or go into recession and cut the value of assets. Government deficits are used to help with the transition but it may never come. Hence, there is the threat of bankruptcy. The private lenders, banks, will have to provide the transition and this means a decline in their capital from restructuring. The story with Japan is not much better than what is seen in the EU or the US. The trade balance has turned negative which only occurs when there is a global recesison. The large manufacturers business confidence index has also turned negative. The BOJ has downgraded the growth prospects for the economy in the wake of the earthquake in March. Japan is aging and having a flat-line for grwoth. No help for the global economy here. This demand will not go away even if there is a slowdown in Chinese growth in 2012. Prices have moved up over the last decade so a fall will be in the cards if demand slows, but this should only be temporary. The other issue is that if the other BRIC countries are also growing which collectively adds to commodity demand. Simply put, the demand from the rest of the world will drive commodity prices not US or EU growth. For example, US demand for oil has been stable at a little over 19 mm bl/day while global demand has moved from 65 to over 70 mm bl/day. Commodity investing is becoming another form of emerging market investing. Notably, commodity investing has outperformed emerging markets stocks significantly this year. "Zombification of European economies, sovereign states, banks and financial instruments"
FT headline discusses "Top Manager fears debt 'Crescendo', comments by Doubleline Capital chief Jeff Gundlach, the year's best fixed income manager. He is expecting a fall in 2012 so you better hang on to your dollars. "Capitalism without bankruptcy is like Christianity without hell" Frank Borman quote used by Jeff Gundlach. This should be the year that the euro fell. There seems to be little to stop the process. Growth is not going to be the savior and taxes will not solve the problem. Restructuring, which means a hit to debt-holders will be the solution. There has been so much focus on the lack of growth in developed countries there has been little time spent on the growth in Africa which continues to shine. The growth in Africa outside the sub-Sahara has been generally above 4% and has reached level above 8% for a number of countries over the last four years. A significant part of this growth is associated with the general increase in commodity prices, but there has strength in many sectors with productivity gains significant and income distribution differences closing. The largest concern is that a decline in commodity prices will lead to an African slowdown; however, there is more investment dollars spent in the last few years to offset a flat price environment. There are still many problems but there is the chance for real gains for the population if this growth continues. Africa is still a small portion of world GDP but growth in this part of the world is not something to ignore. "There is no economy in the world -- whether low-income countries, emerging markets, middle-income countries or super-advanced economies -- that will be immune to the crisis that we see not only unfolding but escalating,"
It is not a crisis that will be resolved by one group of countries taking action," she said at the State Department in Washington. "It is going to be hopefully resolved by all countries, all regions, all categories of countries actually taking some action." If the international community fails to come together as one, the risk is economic "retraction, rising protectionism, isolation," Lagarde said. "This is exactly the description of what happened in the 1930s, and what followed is not something we are looking forward to." Hard to be optimistic with this kind of forecast from the IMF. During periods of high uncertainty the combination of stocks and bonds may outperform hedge funds. 2011 will be case in point where a simple allocation of 60% equities and 40% bonds was enough to outperform most hedge funds. The deleveraging of the US economy is occurring but the pace is slow. We have seen total debt to GDP hit a four year low to 340% versus a high in the first quarter of 2009 of 373%. Household debt has moved from a peak of 135% at the end of 2007 to 119% currently. Much of this debt ratio has fallen because there has been retrenching by everyone during the post 2008 fall-out. There have been defaults which cut the debt levels. This has been a significant but negative development. Those who have jobs are cutting back, but more needs to be done. The issues is that it is not clear what the right level of debt to GDP is necessary or appropriate for the US economy to grow at trend. Additionally, when there are negative rates of interest, there actually is little incentive to pay-down debt. The price of money is cheap. We are below trend and have not closed the output gap. If spending is not undertaken by debt, then there has to be an increase in real wages and productivity to get us back to trend. As predicted by most economists, when dealing with a balance sheet recession, the revival of an economy is a slow road. One question has been why the euro has stayed relatively strong through the EU debt crisis. The Euro has fallen since the highs of the year, but euro looks like ti will end the year close to where it started the year at 1.32. Versus the Swiss franc, there is also minimal change versus the strong euro decline in the summer. The discussions of the dismantling of the euro should have had more far-reaching impact on the currency. Some of the support is technical as flows from banks move back to Europe, but a second reasons has been the strong supportive policies of the ECB, With interest rates higher in the EU and the ECB being less clear on their willingness to open up the printing presses. there has been greater monetary support of the euro.This as changed with the policies of President Draghi who has moved to cut rates and provide better financing to banks through lower collateral. Trichet moved rates higher in April and July from 1 to 1.5 percent. Draghi has reversed that increase and is expected to have further cuts in the first quarter. The differential between the US and European is closing and the rationale for holding euro high quality paper (if there is a such a thing) has declined. Looks like the year of the dollar is more likely. Comments from ECB president Mario Draghi shows that he will adhere to the mandate of the ECB whether for better or worse. "...the method by which money is being channeled to European countries should not obscure the fact that the treaty says no monetary financing to governments." "...role in a sense of the guardian of stability..."
He is unlikely to bail-out governments in the near-term. There is a serious funding problem with EU banks and it is not getting better. This is the key problem for the Eu and we will have to come to grips with the choice of whether this is a liquidity or a solvency issue. We already know the answer - solvency. All that bad debt is not going away and investors have choices. Three month euro/dollar basis swaps have moved from inside -50 bps to over -150 bps before the announcement of the currency swap arrangement between central banks. It is still had high levels over -100 bps. The three month Euribor-OIS spread which is another measure of bank risk is still at approximately 80 bps when most of the year it has been between 20 and 35 bps. The ECB lending to banks is also soaring to above 8 billion euros. There have been moves to relax collateral requirements and cutting initial margin from 20 to 12 percent. The ECB is also allowing more term funding. The issue is whether the ECB actions are too late. Of course, there can be improvement in the fiscal situation but a European slowdown will only make matter worse and cutting rates another 25- 50 bps will not solve the problem. Banks need recapitalization and it will not come from private sources. The most important credit- fixed income meme is the idea of financial repression as a solution for the sovereign debt crisis. It is can come in many forms but the easiest is for governments to keep real rates below zero. Debtors are a beneficiary if the rate of interest is anything below the growth rate in the economy. So we get the central bank to lower rates below the inflation rate. We get negative real rates. Additionally, we get coordination between the fiscal authority and the central bank. The central bank can buy debt directly and print money. The coordination of the US Treasury after World War II pegged rates to the wartime levels. The Treasury-Fed accord of the 50's ended their coordination but then rising inflation cut the real value of the bonds. The bondholders were the losers and the government was able to being down the debt to GDP levels which reached highs above 120 percent of GDP. Finally, we regulate banks to keep rates low and make sure that alternative investments are expensive relative to Treasuries. These policies work. They are part of our financial history. It would be very simple to bring them back. Wait we may have already. The capital haircuts for banks will cause portfolios to be skewed in directions that may create risk as well as cut risk. Government bonds have the lowest capital risk weighting. For your home country bonds government bonds are assumed to be risk-free assets. What do you think banks will do? they will load the boat on the risk-free assets even when they have risk versus other assets. Government bonds cannot default because governments have the power to tax. How is that working for Greece and Italy? How about the low risk weightings for mortgages? That did not work very well. The Basel risk-weighting for sovereign debt is a form a financial repression by governments. By maintaining the fiction that government bonds are safer, they force banks to hold risky assets which they should not. The governments have unwilling but large buyers of their debt. Government bonds may not have significantly more risk than corporates in many cases but banks will not be allowed to decide on those risks when the capital charges are different. Even if the market prices the government debt at a higher yield there will be an incentive to hold the risky debt. What happens now that S&P places so many sovereign on credit watch in the EU? We will have to rethink the idea of government risk weighting. This issue should not wait. The debtor/creditor battles are not just fought in the banks and in the courts. It is also inherently political. There will usually be more debtors than creditors. the money interest who serve as creditors will be vilified. The rules will have to change to allow for debtors to gain their footings. This is the true nature of populism in elections. We see this being played out in the US with occupy Wall Street and the demonstrations in Europe. The solution will lead to a new order especially with the governments being the ones who are the debtors. The battle of creditor and debtor will be played across the globe between nation-states which will effect the state of globalization. Markets rallied on the news that the EU is going to get fiscal discipline and provide more help for deficit countries. This is an early Christmas present but it is not clear it is going to last. This is like going to one of those great Christmas parties with lots of cheer only we wake-up the next day and realize we still have to go to work and our co-worker's behavior is still the same. Le's not forget that the euro-zone governments have self-imposed budget deficit limit of 3% of GDP. This was an important part of the Maastricht treaty. If they followed their targets then the sovereign debt crisis never would have happened. Now the same governments that did not follow their own rules will now get some of that old time deficit religion. Hard to believe. There are reasons why the 3% rule was silly to begin with. It did not allow for large recession where deficit financing could be used to help the economy. Still we are ask to have faith in those who have never followed the rules. The euro-zone has a whole has not met the 3% rule. The Euro-zone as a whole as a deficit to GDP of -4.1 percent. Out of 17 countries only five are meeting their obligations for 2011. They are Luxembourg, Malta, Germany, Finland and Estonia. Only Luxembourg, Finland, and Estonia have met their obligations over the entire time of their entry in the EU. Austerity is the talk of Europe but creditability may be more important. While the focus has been on MF Global, the CME announced that it will allow the Chinese currency to be used as collateral for futures. Symbolically this is very significant. The center of financial trading capitalism will say that a controlled currency can be used to meet margins. This shows how far the renminbi has come and how powerful the Chinese economy and financial system is to the global finance world, but it does seem odd that a controlled currency that does not freely float can be used as viable collateral. 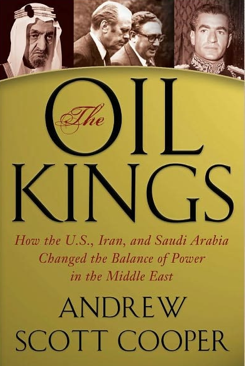 Reading the book The Oil Kings: How the US, Iran, and Saudi Arabia Changed the Balance of Power in the Middle East by Andrew Scott Cooper it is obvious there is a strong rivalry between Saudi Arabia and Iran to determine who will be the driver of OPEC and the lead regional power. This rivalry is being played out once again in current oil price dynamics. Saudi Arabia has increased their production, the most in 30 years, to offset any disruption from the Arab Spring as well as any embargo on the Iranians by the EU. Saudi production is above 10 million barrels a day with latest reporting showing a 1.3 million barrel increase form earlier in the year. OPEC is having their meetings on December 14th and it is unlikely that they will agree on production quotas. Saudi's increased production over the objections of Iran and five other members in June to offset the shortfall in Libyan production. OPEC Production is close to 3 million barrels per day higher than the total target. Everyone in OPEC is a cheater realtive to their targets. If there is an EU boycott from OPEC's second largest producer there will still have to be purchases made from other countries. The EU accounts for 18 percent of Iranian exports with Asian accounting for the bulk of the Iranian oil sold. Of course, more oil will go to Asia, but the adjustment process can have an impact on prices in the short-run. By producing more the Saudi's do not allow any disruption in oil to convert into greater Iranian revenues which can be used to enhance its regional power. A key policy objective for the Saudi' is to use oil policy to maintain political pressure on Iran. Nevertheless, the impact of an EU boycott is very dangerous to oil markets and will increase the risk premium in these markets. The oil world for the last 40+ years have been driven by a search in the Middle East and emerging markets. The cheap oil was outside the politically stable developed world. Cheap oil made the political risks of working in difficult regions of the workable, but the oil dynamics are changing. Political risk has not decreased in many high reserve countries. The cost of oil in these countries are on the rise, but most importantly, the increase in reserves in many developed countries have changed where drilling capital will be committed. The reserve increase is a direct result of technology. This is the cornucopian story which we have discussed. Innovation will drive real prices. There is natural cycle. As the cost of drilling increases, both actual and political, there will be a change in behavior toward technology and investing. Money will be placed in R&D to reduce production costs. If these technologies are sound, there will be a shift in investment focus. the same will occur with investing around the world. Higher political risks will reduce the amount of investing in any country or region. The fact that many of the cheap sources of oil are controlled by state oil companies makes case for why private companies are moving back to the developed world. Put these two together and you will find that new technology will increase reserves in previously expenses areas and lead to the shift away from politically risky areas. The technologies of has lead to the vast developments of oil sands, shale gas (fracking), deep water drilling and shale oil through horizontal drilling. The developed world and places outside the Middle East are where new reserves are being found. Australia is becoming a leader natural gas developer. Canada now is second in reserves. The US may become a natural gas exporter. Brazil may become an oil and gas powerhouse in Latin America. The story of oil is - "go west"
All eyes on the ECB? The fiscal side of the EU is stating that they have done their part to solve the debt crisis. We have heard that before, but the burden now seems to be shifting to the ECB to take more action. The ECB has lowered rates and have offered some extra liquidity provisions. This may continue over the coming weeks as the central bank determines the market reaction to any sovereign debt deal. It seems as though the ECB does not want to be dragged in to a solvency policy and will continue to behave like a lender of last resort. All of this makes sense. To early a provider of liquidity will not force other contingencies to develop; however, the current difficult situation of European banks is still growing and being too late to adapt monetary policies could actually be the ruin of the euro. How do you use data for investment decisions? He (Robert Gates) wasn't an investment person, he admitted, but he asked whether the data I had just presented as a reason for my bullish outlook was data that I had selected because it supported my theory. Or was it data that I consistently tracked, hoping to detect signs of change? I have to highlight this passage from Jack Ablin book from a few years ago. It is very important to think about whether we are using or marshaling data to support our view or whether we are drawing conclusions from data that we look at on a regular basis. The right answer is that the data tells the story, but human nature often works in reverse. S&P issued a sovereign ratings massacre threat as the rating agency has placed all 17 euro nation under review for possible downgrades. There are six AAA-rated EU countries that have been placed on negative outlook. In a highly political move, S&P sends a signal that if something is not done with controlling debt, countries will lose their ratings. While those countries that have lost their AAA ratings have seen large changes in their funding costs, this will be a significant wake-up call of Germany and France to reach some type of debt arrangement and broader fiscal union. The quote was from Vince Reinhart the new chief domestic economist for Morgan Stanley.With all eyes on the finance ministers, the ECB, and EU presidents, there is little effort being placed on what is going on around the globe. The usual information transmission has been from the US to the rest of the world. Lead relationships both from the central bank and economic announcements came from the US. The ECB took their lead from the Fed. Equity prices often would reaction to US numbers. This has changed significantly with gap risk between the close and open in the US being more important than in the past. Work flow has to now include a greater European component. A coordinated effort by six central banks worked to ease funding tensions with European banks through bilateral swap programs so funding could be provided if needed through February 2013. Interest rates on borrowing costs from central banks fell about 50 bps based on the news. The impact on stocks was immediate as the idea that central banks will stand ready to flood the market with liquidity has reduced funding pressure. The dollar dropped hard in response to the the new liquidity. It eased the pressure by European banks to find dollars. Under the arrangement, similar to programs initially set-up in 2007 and used periodically over the last four years, the Fed will swap dollars (lends) to other central banks which will then lend the money to banks in their countries. The Fed has an incentive to do this because a decrease in lending within the US by European banks will have a credit crunch effect on the US economy. The swaps were done at flat currency pricing so there is no exchange risk to the Fed. The foreign central bank will only pay interest to the Fed for the length of the swap. The funding pressure on EU banks has increased as their institutional dollar funding sources have dried up. Money market funds and other banks do not plan to fund EU banks given their higher risk assessment. These banks have significant dollar assets which have to either be sold or funded. There is a clear credit crunch going on with European banks as they tighten credit for anything except funding at home. It would be natural during a crisis that financing will be focused in the home country. The ECB has already seen an increase in their 7-day financing operations to European banks. 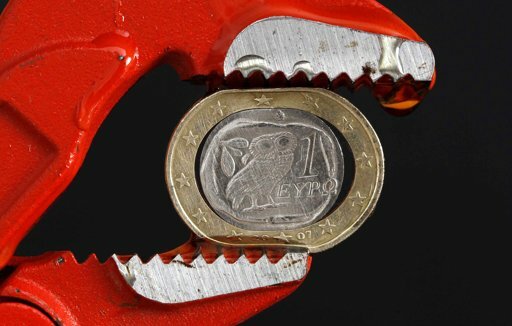 At 265 billion euros, it is at the highest levels in two years. The good news is that liquidity is going to be provided. The bad news is that liquidity is needed and there may be a growing solvency problem with EU banks.